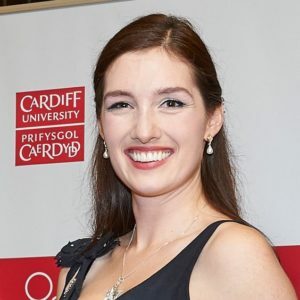 Jodie is a speculative fiction writer based in Cardiff. Her jobs have included working for a circus, a gin distillery, as a dancer and selling speciality sausages for a living, but her biggest passion has always been writing. She is is currently working on her first novel, the Vagabond King. 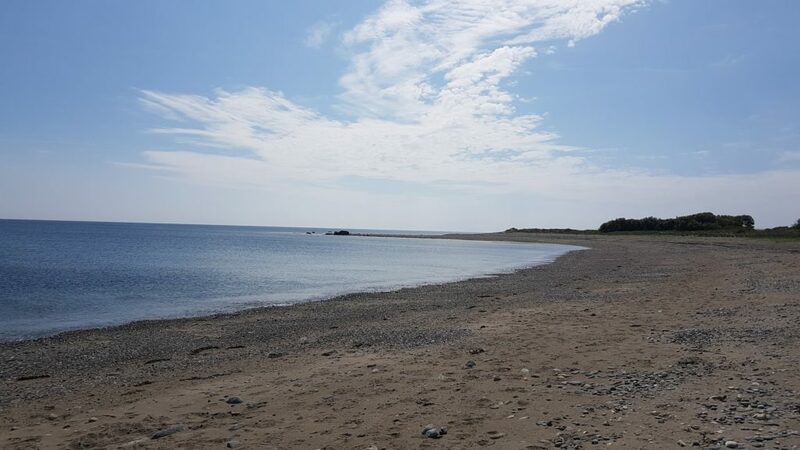 Jodie wrote this blog after taking part in the Emerging Writers Course at Tŷ Newydd 4-9 July 2018. Tŷ Newydd is located near the idyllic Llŷn Peninsula. The historic house is nestled among trees and backed by a stretch of sea that reaches to the far mountains of Snowdonia. On my first day here I am greeted by the small Literature Wales team who have the fortune to work in this beautiful setting. It’s a delight to be surrounded by lilting Welsh as I’m taken on a tour of the grounds and shown to my room. It’s small, but comfortable, and most pleasingly, has a writing desk with a view out over a side courtyard. It isn’t long before I meet my fellow “emerging writers” and we get straight to it, with an exercise where we each introduce another participant in a burst of prose. The sun is setting and the midges are biting, but the standard of writing is so wonderfully high that they don’t seem to bother me. A week at Tŷ Newydd is so much more than promised on booking the course. Each morning we gather for a workshop with one of our tutors where we learn from each other, get feedback on our work and ask questions from those who do it best. Afternoons offer the chance for one-to-one tuition to refine work and talk through challenges we face. Evenings are spent with readings and literary chat over a glass of wine. This week’s tutors are Tiffany Murray and Tristan Hughes. Tiffany is a bright character with a quick smile. Tristan is softly spoken and brimming with interesting anecdotes. They are generous with time and advice, both formally as course facilitators, and socially as they eat and drink and bask in the sun with us. On Wednesday we are treated to a visit from guests Richard Davies of Parthian Books and Gary Raymond of Wales Arts Review, adding their knowledge to the depth of experience gained here. Tŷ Newydd is a retreat in the real sense. The rural setting at times makes it feel more like therapy than a course. Each day has offered fresh opportunity to explore the area. A trip to the beach, only a fifteen minute walk through fields from the house, felt more like being abroad than in my native Wales as the sun beat down on the waves and made the sand too hot to stand on. Another gorgeous day made wild swimming possible. 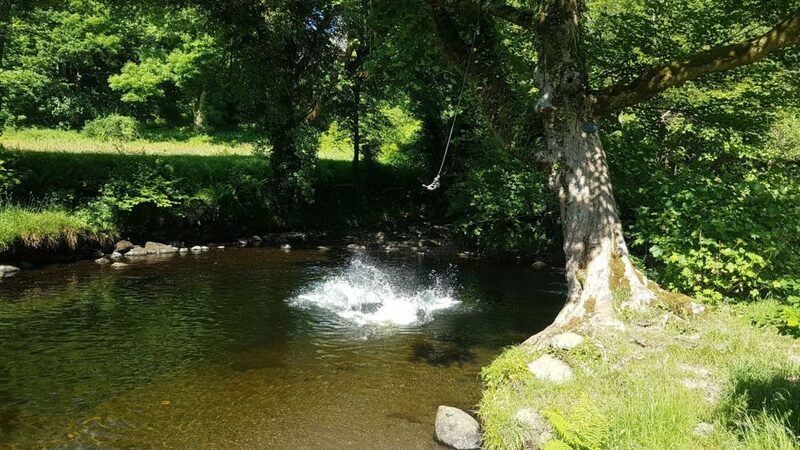 A group of writers plunged into the refreshingly cold river, accompanied by gin and cider and tales from a local girl about her grandmother’s fairy stories set in the area. Thomas bravely dives in from a rope swing below. Late nights are greeted with drinks in the library and laughter and discussion long into the night. 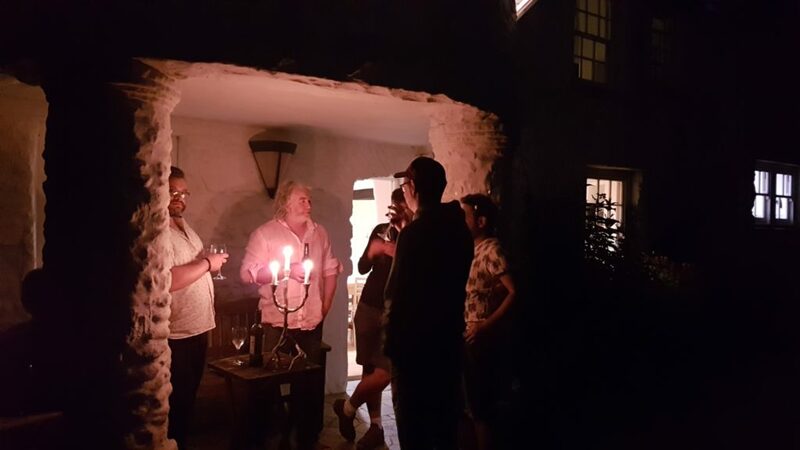 Richard Davies is a particularly bad influence, insisting on a failed trip to the local pub after closing time, that leads to a candle-lit vigil under night skies, drinking gin crafted by my parents at Dyfi Distillery. A second trip to the local pub the next day is more successful and Esyllt treats us to a round of tequilas that descends into hangovers that inspire dark passages of prose the next morning. I’m sure fellow participants would agree that a real highlight of the stay is the food. Tony is chef here and he kindly shares his kitchen with us through the day as we help ourselves to home-made biscuits and cups of tea: excellent writing fuel. Lunches and dinners are generous and delicious. We are all going to leave here a little heavier and, I certainly, am not looking forward to going back to my own cooking after his feasts! I am lucky to share this week with so many inspiring people. Their writing is transporting. We learn from each other as much as our tutors, and it is a real treat to hear everyone’s varied work. Their company has been enlightening and made for much fun as we bond over a love of language and a passion to write. A week at Tŷ Newydd has built my confidence. I now feel ready to send out a novel I have been working on for over a year; a prospect that is as daunting as it is exciting. I hope to keep in touch with fellow participants; there is an eagerness to stay in contact, to support each other as writing peers: a long lasting benefit of our stay here. I write this on our last evening at the writing centre, and I’m not ready to leave. The week has been magical. I know I will be back.